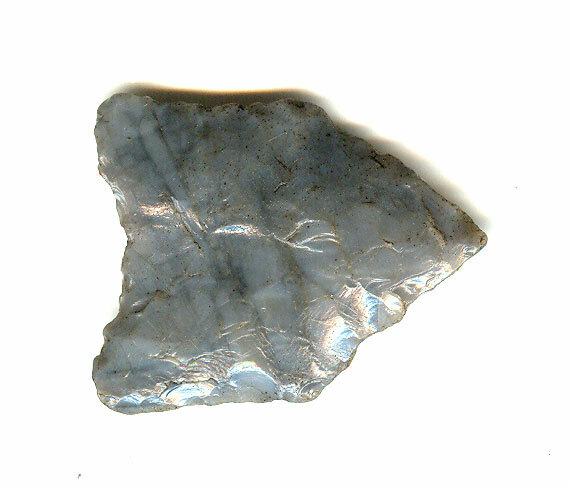 A Small, Heavily Sharpened, Very Colorful, Visibly Aged And Anciently Used, Well Made Arkabutla Point That Exhibits Surface Sheen Aging And Stone Coloration Patination, Correct Early Style Blade Flaking, Overall Heavy River Rolled Surface Polish, Correct Basal Thinning, Correct Material And Manufacture For The Area Found. Found In Northern Caddo Parish On The Red River. The Arkabutla Is Possibly Related To The San Patrice, Pelican, Coldwater And Simpson Points Being Somewhat Similar. The Arkabutla Is Found In Arkansas, Mississippi, Louisiana, East Texas And Southwest Tennessee. Includes A Ken Partain Certificate Of Authenticity.